Picture the canals of Amsterdam, filled with boats transporting barrels of beer, a herd of cattle moving through the streets on their way to market, a city square buzzing with the cries of fish vendors selling their wares, warehouses stocked with salted fish, wheat and cocoa beans, waiting to be shipped all around the world. 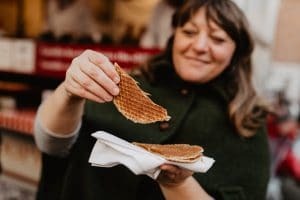 The history of Amsterdam has a strong connection to food. Amsterdam is a beautiful and dynamic city. Over the past decades it has attracted tourists from all over the world. 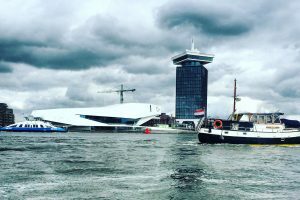 Recently, the city has been gradually encompassing Amsterdam Noord, the Northern part of the city, separated by water; Het IJ. Long ago, this was the district where criminals and villains were exiled and hanged. Those days are behind us, and seeing the area from this side of the water gives you a fresh and interesting view of the central city. 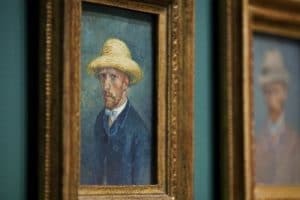 Have you always wanted to know who the man was behind the painter Vincent van Gogh? Curious about his life, his family and romantic involvements? Marie-Louise delves under the skin of Anna van Gogh Carbentus, Vincent’s mother, and tells you all the things that only a mother can know. 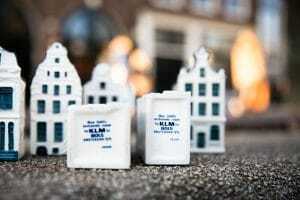 A walk along the most iconic KLM Delft Blue miniature houses in Amsterdam and a visit to one of the oldest hidden courtyards (Hofjes) in the Jordaan quarter. We end our walk at an authentic tasting room inside an existing KLM (Delft Blue miniature) house. Time has stood still at this location, and a glass of Jenever and some Beemster cheese await you. Delft, a true gem between The Hague and Rotterdam, is the birthplace of the Dutch painter Johannes Vermeer. Delft has long been a center for fine ceramics. 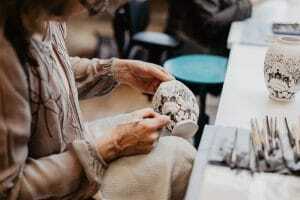 Enjoy an exclusive visit to a Delfts blue Studio and meet the Master Delft Blue painters. You will learn about the production process behind Delft Blue and how to recognize genuine Delft Blue design. 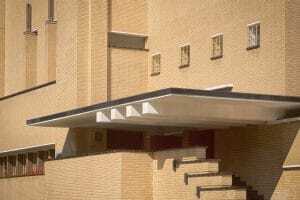 Admire the world famous City Hall of Hilversum, created by Willem Marinus Dudok. 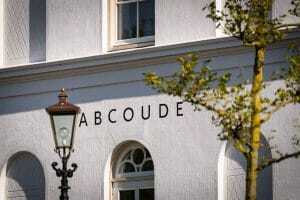 Visit the residential areas and public buildings Dudok designed as the architect of this energetic, expanding city. And, include the Sanatorium Zonnestraal designed by the young architect Jan Duiker. The complex is now nominated for the World Heritage List. When you think about Amsterdam, the city center is identified by its famous ring of canals dating from the 17th century. Bordering the center is the Singelgracht canal where a number of important monuments collectively tell the story of Amsterdam’s Second Golden Age, the period of growth which began after the opening of the North Sea Canal in 1876. Holland is famous for its extensive list of artists, masters of craft with artistic vision which made them stand out. Creativity is not something exclusive to artists although it is often perceived to be. No! Creativity is in everything and everyone is gifted with it. 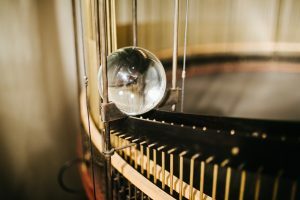 Creative expression is a good instrument with which to connect with creativity and to see what it can do for you. Whilst for painting, the 17th century undoubtedly forms the Netherlands’ Golden Age, in many ways it is the 18th century which is the Golden Age for the Dutch musical arts. With a richly vibrant and cosmopolitan music scene with far reaching international influences and interests, the Netherlands in the 18th century was a buzz with musical activity. 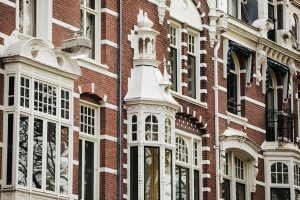 Sample and soak up the current culture, along with historic references, which radiates from one of the most vibrant neighborhoods in Amsterdam. Food and taste is where every culture meets up and celebrates life! Let’s taste what Amsterdam has to offer! 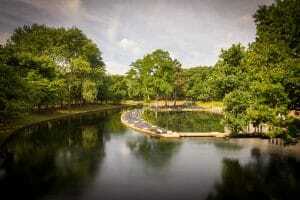 Would you like to explore a magical place, a beautiful nature reserve which is only accessible on foot? There are many reasons why this location is so special, one of which is the large deer population living in these coastal dunes. 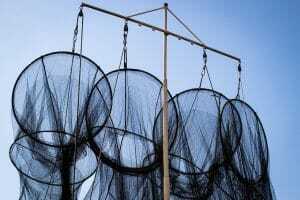 Fisherman’s life and fishing for eels. Dutch architecture today is one of the country’s most successful exports, with names such as Rem Koolhaas and Lars Spuybroek popping up on blueprints from Beijing to Seattle. Rotterdam is considered the architecture capital of the Netherlands. A city rebuilt from the ashes after a devastating bombardment during WW2. 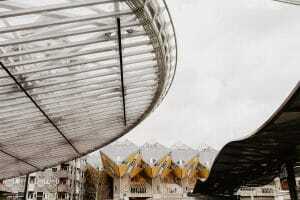 Since then the city on the river Maas has become a laboratory of architecture design, urban planning and an art venue. 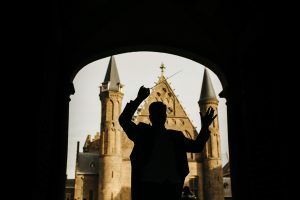 According to Lonely Planet ‘Innovation is the mantra in the Netherlands’ second city, and the locals embrace it with an enthusiasm that makes a visit here an exciting proposition. This tour will bring you through the city’s cultural and culinary highlights. 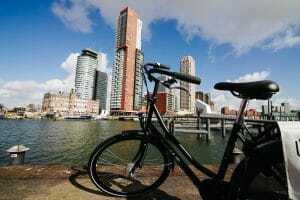 Rotterdam is the center of multicultural diversity and ethnic communities. With the highest percentage of foreigners in the Netherlands, it’s easy to find those from all over the world here, living and working together in respectful harmony and giving the city a vibrant feeling. 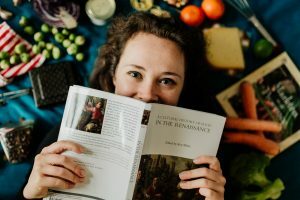 Over the course of your tour, you’ll be visiting places and companies that are at the forefront of the circular economy as well as meeting up with social entrepreneurs that like to do business differently. Don’t forget about the abundance of delicious snacks and refreshments along the way as well! While South-Africa has the elephant, rhino, lion, leopard and the buffalo, in the Netherlands we have our own ‘Big Five’: the red deer, the roe, the wild pig, the mouflon and the fallow deer. 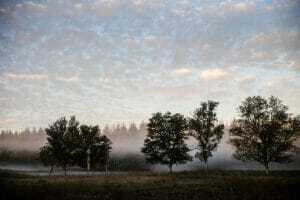 During this hike you will learn all about the beautiful nature reserve, the Veluwe, and its inhabitants. 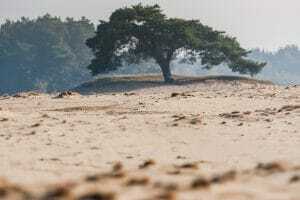 The Veluwe is a forest-rich ridge of hills (1100 km2) in the province of Gelderland and features a variety of landscapes, including woodland, heath, some small lakes and Europe’s largest sand drifts. 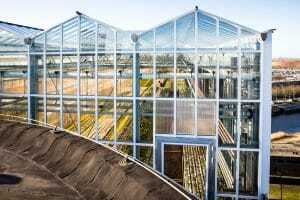 Come and meet some of the most inspirational people and places of Rotterdam when it comes to sustainability. You will get the chance to visit places and companies that are at the forefront of the circular economy or meet up with social entrepreneurs that like to do business differently. 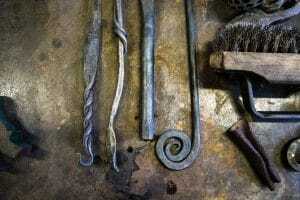 The work of the blacksmith is one of the oldest trades in the world. What makes it unique is that almost all the work is done by hand. A lump of iron is formed into beautiful dishes, vases and decorative objects by means of fire and technique. Experience how it is to work with fire! For hundreds of years painters have loved the Dutch landscape with its rich colors and luminous skies. With this workshop, you can learn how to make paints directly from the land. The earth comes in many colors. 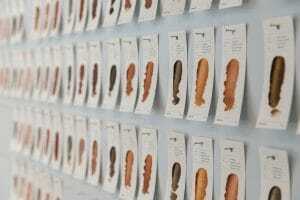 With the right ingredients and techniques, you can transform dirt and clay into usable paints. Pretty much all the food being sold fresh today has traveled thousands of kilometers to get to your plate. At Urban Farmers they believe it’s more convenient, healthier, fresher and sustainable to grow food where it’s eaten: where people live, in cities. Hidden in the area called the Veluwe, one of the most beautiful and forest-rich ridges of hills in the Netherlands, is a secluded treasure. The terrain is accessible only via a private road, thus guaranteeing exclusivity and intimacy. This excursion is perfectly suited to individuals/teams who, during the experience, want to bless their last acquisition or to bind the a team for the next challenge. 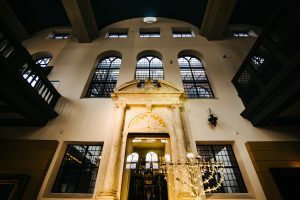 Rembrandt moved to a house he bought (and later had to sell) in Amsterdam in 1639 which was in a neighbourhood that was slowly becoming predominantly Jewish and remained that way until 1940. He was inspired by what and whom he saw on the streets outside his window. The first Jews to arrive in Amsterdam were those exiled from Spain during the Inquisition in 1492. 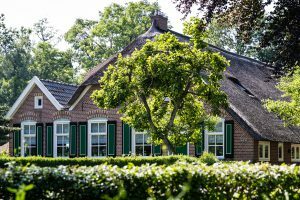 What are the similarities between the Amish people in North America and the Staphorst community in the province of Overijssel? Both are very close knit, pious and wear typical traditional costumes. There is no village in the Netherlands about which so many clichés exist as Staphorst.